Last week, 3 of us got to attend a fabulous open house for Gulick Group's new model home in Great Falls called Autumn Wood. I tweeted pictures while we were there, but I wanted to get them onto the blog, which will then get them on to facebook! Bear in mind that I took these pictures on my BlackBerry, so they are not at all good, but you can also refer to an older blog post about it ~ see Sep. 27, 2010, with the tag of Gulick ~ and that one had better pictures! 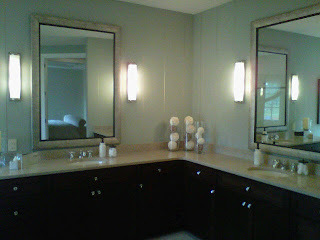 But the following pictures were live action shots, and truly, you need to go see this model home! It is beyond spectacular ~ every detail is to die for! First of all, we just HAD to take a picture of their cookies! 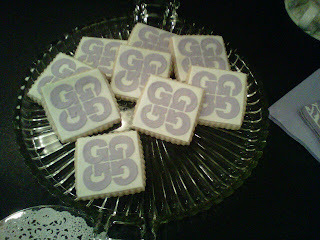 Custom made with their logo ~ aren't these great? Erin got the name of the person who made them, so let me know if you want her info! 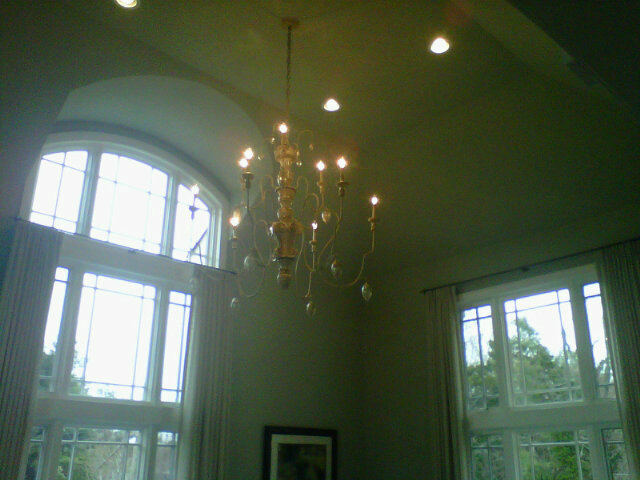 So now on to the lights! This is a Framburg 24" drum in the morning room. Murray Feiss sconces in the Master Bath. 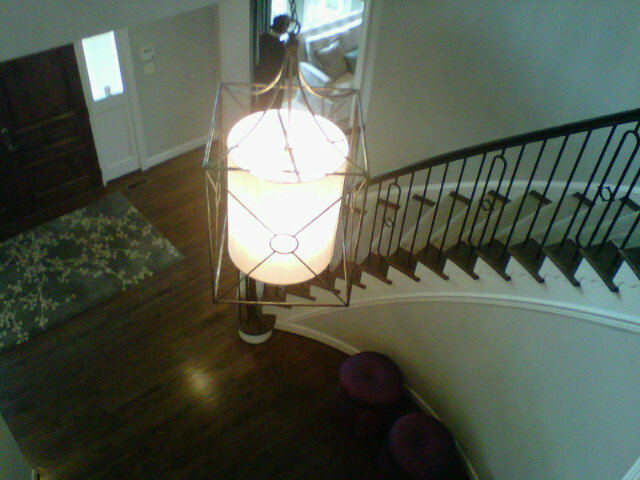 A shot from above of the Troy lantern in the foyer. 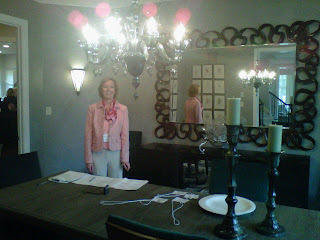 This doesn't do anyone any justice here, but it's my buddy at Gulick Group, Cindy Vance, in the dining room with my favorite indigo smoke Cyan chandelier, along with Cyan sconces. 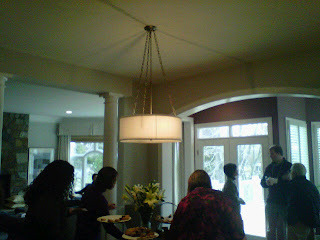 Another terrible picture, but we got lots of complements on this Currey & Company chandelier in the conservatory. You definitely want to see the pictures on the other blog post I mentioned, because this piece really is stunning in person. 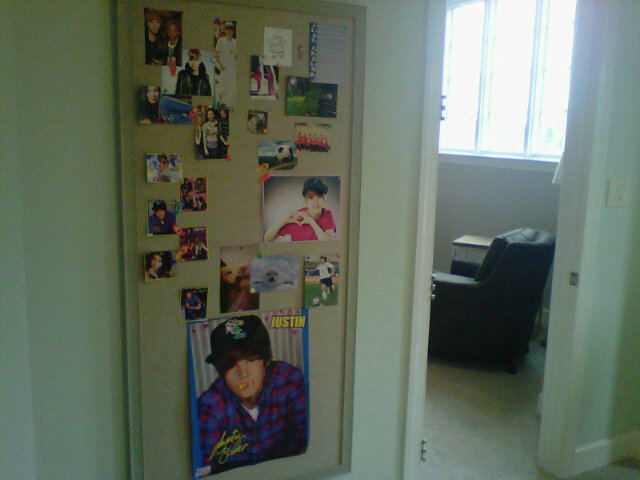 And I couldn't resist this one ~ I have a fair amount of Justin Bieber teen girl fanatics in my life, so this collage made by Susan Gulick Interiors in the girls' bedroom brought a smile to my face!